You might be here on our page because you’re an American getting married in Italy and you found us while doing your research about how the legal process works for marrying in Italy. We wanted to put together a description of what we experienced so that the process is clearer for Americans marrying in Italy – it’s not a complicated process as many tried to lead us to believe. It did require more time spent in Italy going around to the various offices we had to visit, but I am so glad we did it this way. And I’ll be honest, we are also writing this because we are wedding photographers and would love to shoot your wedding in Italy. We love Italy so much, and hiring us provides many added benefits – I (Adam) speak Italian and managed the entire legal process we went through so we can help you along the way with any questions, translations, or situations that come. 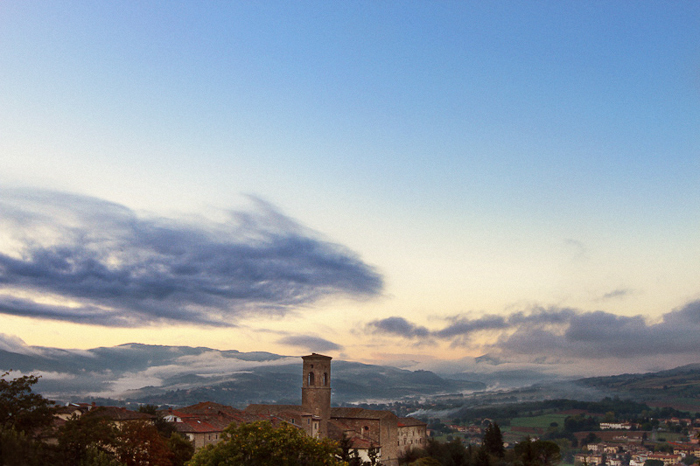 In October 2012 Shawna and I were married in beautiful Poppi, Italy, a small village in eastern Tuscany. The town is surrounded by majestic mountains and beautiful farms. Located in the Casentino valley (which stretches from the north, southward towards Arezzo and west towards Florence), it is where the Arno river originates and flows towards Florence and finally out to Subbiano. There is a long, rich history that can be seen throughout Casentino and beyond into Tuscany, and a visit to Arezzo is highly recommended if you’re exploring this area. Because we knew there would be a lot of running around to different offices and waiting on paperwork, we planned on being in Italy for a total of three weeks. The process for getting the legal requirements in order within Italy don’t take that long, but we wanted to plan in some time for travel, and we had reserved a villa at Podere Sant’Angelo for a week while everyone was out with us for the wedding. However, the process to acquire the legal documents necessary to get married in Italy began several months before leaving the United States. Because the closest Italian Consulate to us is in Los Angeles, I referred a lot to their website to find out what needed to be done and what paperwork I needed to complete. The first Italian document you will need to obtain is called an Atto Notorio. It is simply a declaration in front of the Italian Consulate that you and your fiancé are who you say you are and that you can be legally married in Italy. You will appear before the Italian Consultate with you, your fiancé and two witnesses to make this declaration. Before obtaining the Atto Notorio, you will need to obtain a few documents that I describe below. Each document will also need to be attached to another document called an Apostille, which is a document certifying that the attached document is legal and shall be recognized as legal throughout the world. Lastly, the documents (except for the Apostille) need to be translated into Italian, and your consulate should be able to refer you to a translator. So, I called up the Italian Consulate in Los Angeles and was directed to “Ufficio Notarile” department (this is the Notary Office). Helping me from the Ufficio Notarile was an incredibly friendly lady named Aureliana. She was so excited I was getting married in Italy and she did a great job of explaining to me what needed to be done as the first step. – If either of you are divorced, you will need to obtain the divorce decree from the county where the divorce was finalized. – A copy of your fiancé’s passport. I simply went online to the website for the county where I was born to find out how to order an official copy of my birth certificate. The county website directed me to VitalChek.com where I was able to place the order online. When doing so, there is a screen to indicate the reason you are ordering the certificate. You want to specify Apostille/Authentication as this will ensure you get the long form of your birth certificate. It cost under $50 to get my certificate. I also did this for my fiancé. Total cost: under $100. Because I was divorced, I had to go to the San Diego County legal records office and obtain a copy of my divorce decree. I indicated to the legal records office that I needed an Apostille attached to my divorce decree. This was free and took 20 minutes while I waited at the office. Once I received the birth certificates and my divorce decree, I copied them and sent them to my translator. She had them back to me within a week. Total Cost for the translation: $150. While my documents were being translated, I sent the original copies I received of our birth certificates to the offices in each state (for me, that was California, and for Shawna it was Massachusetts) that process Apostilles. To be clear, even though when I ordered our certificates on VitalChek.com I indicated this was for Apostille/Authentication, they do not send the Apostilles with the documents, that simply tells them to send the long form of your birth certificate. You then need to send the birth certificate to the appropriate state office to have the Apostille affixed to the certificate. I got our Apostilles and birth certificates back within a week of sending them. At this point now, I had both of our birth certificates, each with their own Apostille and translated version. I also had my divorce decree, its Apostille, and its translated version. Now I was ready to actually make the appointment to go to the Italian Consulate in L.A. with all of our documents in hand and our two witnesses. Important: you must receive your Atto Notorio within a three month period before the date of your wedding. Because our wedding was October 10th, I made our appointment for July. I probably began the process to gather all the documents for the Atto Notorio in May/June. I think it cost around $150 to get the Atto Notorio. At the Consulate, the process is simply this: you present all of your documents (see the Obtain the Necessary Legal Documents for the Atto Notorio section above for a list), and show up with your two witnesses, then you swear an oath in front of the consulate, and when that’s all done you get two Atto Notorio documents: one for you and one for your fiancé. Once you have those, Step 1 is done! The Nulla Osta is another document that you will complete once you are in Italy. It is performed at any American Embassy in Italy. We went to the one in Florence. You can download and print out the form from this website before leaving the United States. Like the Atto Notorio, the Nulla Osta is a sworn statement that you are who you say you are and that you can be legally married in Italy. With the Nulla Osta, you make this sworn statement in front of the American Ambassador. You’ll need to make an appointment at the embassy a month before you want to have the appointment take place. Just like the Atto Notorio, you will actually be receiving two Nulla Osta documents: one for you and one for your fiancé. I think the total cost that I paid at the embassy was around $200. You can go online to get more information here. You may also make your appointment with the embassy online by going to the website for the embassy you want to have the appointment take place at (Florence, Milan, Rome, etc). These appointments are generally only on Tuesdays and Thursdays. After you have completed the Nulla Osta process and have received both Nulla Osta documents, you need to bring them to the local Prefettura (the local Prefecture office) to have the documents authorized by the provincial Italian government agency. But before you even do that, you need to go to any Tabacchi shop (tobacco store) to buy two marco da bollo stamps: one for each Nulla Osta. Just go into any Tabacchi and ask for two marco da bollo stamps. The cost for each is pretty cheap. In Italian, you simply say “Vorrei comprare due marco da bollo per favore” (I would like to buy two marco da bollo stamps please). Don’t attach the stamps to anything yet – they will do that at the Prefettura. The Prefettura simply validates the signature of the American Ambassador. The specific office at the Prefettura that handles legal documents is called the Ufficio Legalizazione. Here’s the website for the Ufficio Legalizazione in Florence: http://www.prefettura.it/firenze/contenuti/11205.htm. If you don’t speak Italian, now is a good time to get to know Google Translate (translate.google.com) which is awesome because you can enter the URL of a website you want translated and it will render you a complete translation of the site in English. At the Prefettura there is a strong chance that nobody in the office will speak English. Not a big deal with a little Italian: you simply ask for the Ufficio Legalizazione, then go to that office and show them the two Nulla Osta, the stamps, and say you are here for his signature because you are getting married in Italy. “Scusi signor, siamo qui per obtenare sua firma sulla Nulla Osta. Io e mia fidanzata andiamo sposarci in Italia. Grazie” (Excude me sir, we are here to obtain your signature on the Nulla Osta. We are getting married in Italy). He’ll know what to do from there. We arrived into Florence the day before our appointment at the US Embassy in Florence. The day of our appointment, we made sure to show up a few minutes early at the embassy. It’s a highly secure area, so you will wait outside, present your passports to the guard and notify him why you’re there and when your appointment time is. We waited out front and then were called in separately. I went first, going through security, checking in my cell phone, and then waited for Shawna within the lobby of the embassy. Shawna made her way through security about 5 minutes later. I checked in at the desk and then explained why we were there and that we needed to obtain the Nulla Osta documents. I had to re-fill out the paperwork since I had filled out one piece incorrectly. Not a big deal, took 5 minutes. We made the sworn statement to the ambassador, they certified the Nulla Osta documents, I paid the fee, and they the lady told us we needed to get a marco da bollo stamp and go to the Prefettura across town to have his signature attached. So we walked to the nearest tabacchi (they are everywhere) got a marco da bollo (make sure you get two – I didn’t know this and had to get another one later), and then walked to the Prefettura. No appointment was needed at the Prefettura. We simply walked in, asked for the Ufficio Legalazione and then waited for him to call us in, which he did 5 minutes later. He looked over each Nulla Osta, attached another page to it where he signed and affixed the stamp. Then we were done and on our way. The Atto Notorio, the Nulla Osta, and the Prefettura signature are all obtained so that you can present these, along with your Italian-translated birth certificates and divorce documents, to the local authority in the town where you are to be married. I should mention that we were doing a civil ceremony, not a religious one. 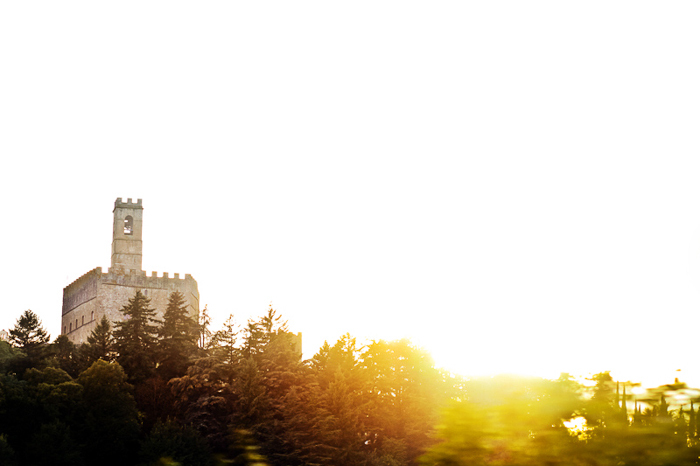 Shawna and I were married at the Castle of Poppi which was unbelievably affordable compared to venues in the US. Because both Shawna and I are American citizens marrying in Italy, we did not need to post banns or do much else. We had some help at this point from the son of the people who owned the villa where we were staying for the wedding (this is where I can help out in a big way for your wedding since at this point I can hold a conversation in Italian and help you out with this process if you hire us to photograph your wedding). We showed up with Andrea at the Comune di Poppi (the mayor’s office who was performing the wedding) I think on Monday October 8th (our wedding was Wednesday October 10th). We gave all our documents to the guy at the mayor’s office and he said that everything was in order and that was it. He will keep all of the paperwork you presented to him. There is a formal procedure that takes place at Italian civil wedding ceremonies but we were able to work with the mayor and customize it a bit – we wanted to read each other our vows, have a candle-lighting ceremony with my kids, and then step on the glass as a jewish tradition at the end of the ceremony. The mayor was fine with all of that. It’s also important to note that you will need a translator present at the ceremony who will repeat in English all of the things the mayor says. The translator can be anybody who has a good command of both English and Italian. We used Shawna’s cousin Giorgia, who lives in Bologna. The ceremony was beautiful, and lasted about 30 minutes. Giorgia did a great job translating, and at the end of the ceremony we signed our names to the legal marriage license, and after the ceremony were given an envelope containing the official marriage certificate authorized by the mayor in the Comune di Poppi. The final step was to re-visit the Prefettura (the closest one to Poppi was in Arezzo), present the marriage certificate, and say that you would like to receive an Apostille for the marriage certificate. Now, this step is not actually required, but it is highly recommended because the Apostille is what will be officially recognized back in the United States and it actually contains a translated copy of the marriage certificate so that people back in the States can understand it. As I mentioned, a few days before the wedding, we went into the office of the mayor and presented all of our documents: the birth certificates, the divorce decree, the translated copies of these, both Atto Notorio, both Nulla Osta. That was it. Then we said our I Do’s, obtained the official marriage certificate from the mayor right after the ceremony, and two days later went to Arezzo to the Prefettura to get the Apostille for our marriage certificate. Now, it will take a 1-3 days for the Apostille to be completed by the Prefettura so plan some time for this. We dropped it off on Friday and picked it back up the following Monday. We had to show up Monday before 1:00 pm when the office closed and we had spent the weekend in Amalfi so the bummer was waking up at 4:00 am on Monday to drive from Amalfi to Arezzo but we got there early, got our marriage certificate and Apostille, and that was it – we were married and had the official paperwork we needed! super informative. what a story. congrats to you both! Thank you for all the information! I am currently doing research as to the legal arrangements. It is tricky because I’m a naturalized US citizen but born in another country where it is difficult to obtain my birth certificate. I have a few questions if you don’t mind. 1. Do we need an interpreter to obtain the Nulla Osta? 2. Will your wife’s cousin be available for hire to be my civil ceremony interpreter? We will be in Castellina di Chianti. 3. How did you get witnesses? We don’t know anyone in the area and will have to hire this as well. Again, thank you for your inspiring and detailed story. 1. You do not need an interpreter for the Nulla Osta. It will be obtained at the US Embassy so people you have to talk to should speak English. 2. Shawna’s cousin only interpreted for us because she was planning to be a guest anyway. She does not interpret for work. I’m sure you can find an interpreter to hire. Ask the embassy (I am assuming you will go to the embassy in Florence since the wedding is in Chianti) if they can refer you to someone. No, seriously! Any of your guests can serve as witnesses. We used Shawna’s parents. Buona fortuna! In bocca al lupo! Wow! Such great information. I planning an elopement in Rome in July and didn’t know where to start. This really spelled everything out. Thank you for taking the time to write all of this! My fiancé and I are both Americans who have never been out of the country before. Neither one of us is fluent in Italian but this is my dream destination so he agreed. I will be looking for a translator, two witnesses and photographer/guide when I arrive so if you have any recommendations I would greatly appreciate it. Its just going to be us two so we don’t require many pictures on that day so even if you know an amateur photographer who can show us around and take pictures for a couple hundred euros that would be fine as well. As for the witnesses I was even thinking of just paying someone off the street to do it. Thanks again for this great page. I am going to get started planning right away. Thanks so much for posting such thorough information on exactly how to navigate all the red tape. My fiance and I are thinking of a destination wedding in Italy, versus California, where we live. It seems that renting a villa for family and friends, plus the reception, still costs less than most wedding venues in CA. Do you think getting through all the bureaucracy would be easy enough for non-Italian speakers? Is it possible to do all of the paperwork and have the wedding within one week? Thanks again! Loved the wedding video! Hi Amber – I think a week should be fine as long as you plan it appropriately. You should take care of getting the Atto Notorio done while you’re still in the US. Give that process about two months since it can take a while getting everything translated. Once in Italy, get the Nulla Osta done on the first day you are in Italy. The US Embassy (in Florence for example) only takes appointments on Tuesdays and Thursdays so plan it out around your arrival. Make the appointment one month in advance to guarantee your reservation. Once you get the Nulla Osta (which takes about an hour) you have to get the Marco di Bolla stamps and then head over to the Prefettura. Get the Prefettura to sign the Nulla Osta on the same day. That way, on Day 1 in Italy you will have all of your paperwork in order. I would then go to the Local Agency responsible for marrying you (i.e. the local town hall in the town where you will be married) on Day 2 since they will want a few days to sit with the paperwork. Plan the wedding on day 4 or 5 of your stay. The very next day go back to the Prefettura with your marriage certificate to get the Apostille. It should only take one day for that. However, if you give it to them on a Friday to process (as we did) then you will have to wait until Monday to pick it up. The Prefettura has funny hours so examine those as well. Lastly – you should be fine with a little italian language. You will be way better off having a translator. I speak Italian and can help you. We can help you with the bureaucratic stuff and then do your wedding photography at a price comparable to what you’d pay for wedding photography in Italy. So think about that and let us know if you’d like to talk more about this. Getting married in Italy is such an amazingly special experience for us that we treasure immensely so I highly recommend it! And you’re going to want stellar wedding photography to capture it all! Hi I just have a few questions because I’m writing a paper on destination weddings and I actually want to get married in Italy, and I need a first person source. I was wondering if you could elaborate on a few things for me. 1. The architecture in Italy and if that influenced your decision on getting married in Italy? 2. Is the marriage valid in the US as long as you go through the embassy? 3. Do you think people have negative perspectives on marriages in different countries? 4. On a scale of 1 to 10, how complicated do you think the process was to complete all of this? Wow, so helpful! It can be a daunting task getting all of this done. I have been searching all day and night making sure we have everything in order but can’t seem to find information on how long it takes to get the Atto Notorio? It looks like yours was issued on the same day in LA? I also can not find information on how to schedule an appointment for the actual civil ceremony or if this is necessary (Just want to make sure there are times available for the wedding with the city). Thank you for posting this, SO incredibly helpful! We did get the Atto Notorio the same day in L.A. but we coordinated for at least a month with the lady in the office there making sure to have all paperwork and requirements ready for when we showed up. You need all your documents and everything translated into Italian already before getting your Atto Notorio. Looking forward to your correspondence..
We recently got married in Italy as well. We just got back with all our legal paperwork from Italy for our marriage certificate. What did you have to do to let US know you are officially married? Do you have to get a US marriage license? I can’t seem to find any postings or info on how to declare that we are married now? Thanks in advance! To answer your question – after the ceremony (and after receiving the marriage certificate from the town hall where we got married) we took that to the Preffetura for our area (in Arezzo) and said to them that we would like a Apostille for our marriage certificate. An Apostille is simply a globally-recognized notary. The Apostille is nice because it’s basically a duplicate of the marriage cert but has various translations for a bunch of different languages, so when we brought it to the DMV and Social Security back here in the US, it was easy for them to understand and approve. We just got married in July in Italy as well, and we have matrimony act issued by the town hall and has been legalized and sent to us through our wedding planner. I was wondering if we need to do anything in our city hall here in San Diego now? The legalized matrimony act is still in Italian. did you guys have to do another procedure after you had your legal paperwork from your wedding in Italy? Thank you for sharing your inspiring story and insight on the marriage process from start to finish in Italy. 1) I am currently in the US, but my girlfriend is a foreign national already living in Italy with full legal rights to live and work in the country. Would she be required to travel to the US and get the Atto Notorio as well? Or would she just have to get the Nulla Osta when I arrive in Italy? 2) What is a good time table for the entire process from start to finish? You mentioned in an earlier viewer response that the process once in Italy should take a little over a week? I happen to be wedding photographer as well! Thanks for going into all the detail of your wedding! I have book marked this page and have been referring to it as my fiancé and I plan our wedding (elopement) for the end of December this year! We are under a time crunch, so I was wondering if you could answer a few questions? 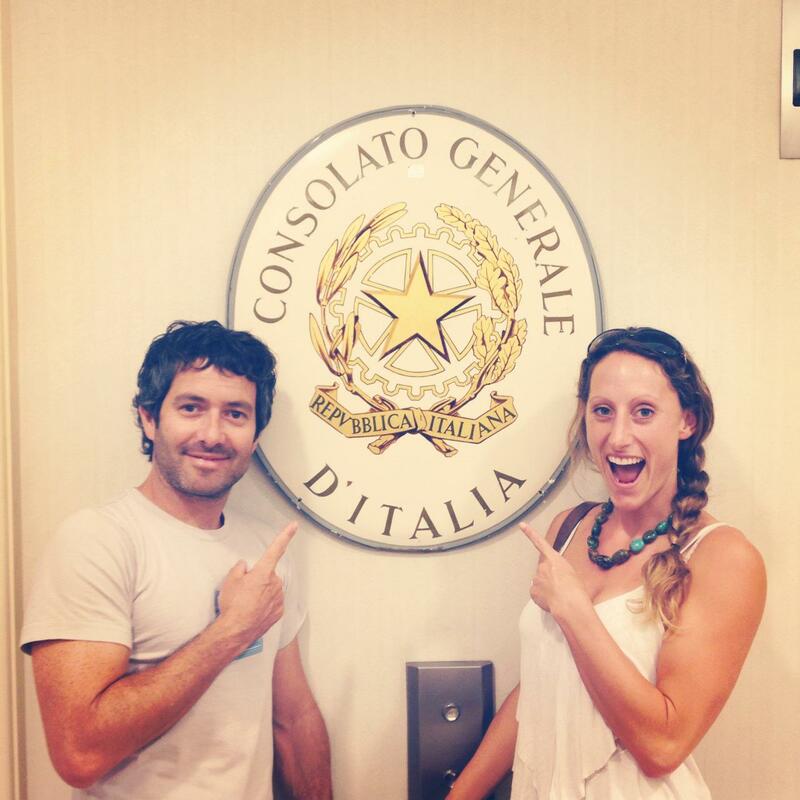 How do you actually make an appointment with the Italian Consulate in Los Angeles? All I have found is a form that you fill out but I don’t see any where online to set up the appointment. When I called, I got an answering machine and no clear guidance to which department to speak with. For the divorce decrees (we have two each), do we need to provide all decrees or just the most recent? I have searched and can find nothing on this. The form for the Italian Consulate does ask “previous marriages?” That’s not even clear. Is it asking for a yes or no, or how many? If how many, then it has me wondering if we need all divorce decrees, not just the latest. We are meeting the US Consulate in Naples on Monday, 12/22/14. After we get the Nulla Osta documents. From there we will need to get the stamps and then to race over to the Prefettura before noon. My question – you may or may not know – is will the Prefettura even be open that day because its so close to Christmas. I cannot find anywhere a calendar if government offices close for the entire week of the holiday or just maybe the 24th and 25th? My concern is that we go through all of this to get married in Italy, only to walk up a “closed for the holidays” sign at the Prefettura! Lastly, regarding getting the Apostille for the marriage certificate: can you get that the next day after the civil ceremony? Do we have to get it in Italy or can we get it at the Italian Consulate in Los Angeles? We may have the same problem with the office being closed because we would go to the Prefettura on the 30th. Anyway, if you know any of these answers, I would appreciate your feedback! Thanks again! Loved your wedding video! Also regarding the divorce decree itself: my Los Angeles county divorce papers really have no official stamp or anything to me that looks like its the original copy. It also is several pages long. Do you recall if yours was with a raised seal or something to make it more official? I am wondering if I need to go down to the court house and get something else? Did you submit every page or just the top copy? To make the appointment, call the Consulate and let them know you are getting married in Italy and need an Atto Notorio. I think that’s all we did and Aureliana (lady at the Consulate) was very helpful letting us know everything we needed to do. For the divorce decrees I would think you need all of them. Again, I would check with Aureliana and ask her. You do need an official document – I don’t think mine had a seal or anything – but you will need this translated to Italian and have an Apostille affixed. Lastly – you should be able to go to the Prefettura the day after your wedding to get your Apostille from your marriage certificate. Getting the Apostille from the Prefettura may take a few days for them to process. Good luck! You are awesome! 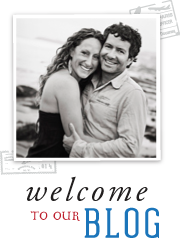 This has been the best site to help Americans wishing to marry in Italy. Thank you so much for taking the time posting all this valuable information. I do have a question concerning the translated documents (birth and divorce). Should they be certified or notarized translations? Yes you will need the translated documents notarized with an Apostille. If you’d like to talk to us about shooting your wedding, let me know. Hello! We are doing the same as you but the part I have questions on are what is the steps needed once you been married in Italy and have returned home? Thank you! Hi Katie – the process for getting all the paperwork submitted in the US is normal just like when you get married in the States. Just take the wedding certificate and Apostille to the Social Security office and Department of Motor Vehicles. There should not be any problems. I stumbled on your website when looking for more information about getting married in Italy. My fiance and I are getting married in Florence on November 12, 2015. We’ll be getting married in a Roman Catholic church, so I’m aware that we’ll need proof of our baptism / confirmation for the religious ceremony. However, we were considering getting legally married here in the US beforehand (i.e. small civil ceremony in Boston to get our marriage certificate, followed by a religious ceremony in a church in Florence). Do you know if this is a viable option? Or, if not, have any suggestions for who to reach out to? Hi Erica – I do not know much about religious weddings in Italy unfortunately. We actually live State-side but travel to Italy to photograph weddings if the couple hires us for that. Good luck! Thank you so much for this amazing information… So much more user friendly than anything else I’ve found on the interwebs! 🙂 My fiancé and I are currently planning something very similar to what you did! We do have an American friend in Italy, stationed there for the US Army. Is there any part of this process he could do for us in advance that wouldn’t require us being there? We are only planning to be in Italy for a week, from Friday thru Thursday. I’m worried it may not work… Any advice would be appreciated! Thank you for sharing your beautiful story! 4) Returning to Prefettura following wedding to get Apostille of certificate. And this process, in particular, can also be lengthy. For example, for the wedding I just photographed near Arezzo, I made sure to email the Prefettura beforehand and ask if the couple could receive the Apostille the same day they submitted the wedding certificate because the couple was leaving early the next morning. We got approval that this could be done in 30 minutes. However, when the couple went to the Prefettura to submit everything, they were told to come back the next day. They had to pull up the email and show it to the clerk that we already were told it could be done the same day. This being said, I think 5 – 6 days is the minimum amount of time you will need to be in Italy. 1. When you send your birth certificate to be translated, does the apostille page also need to be translated? (We have one CA birth certificate and the apostille is on a different page). Hi Ruth – happy to answer your questions. We actually just went back and shot a wedding at the same castle where we were married and we helped the couple getting married with all of their documents and submitting everything to the various offices in Italy. 2) The owners of the estate (Stefano and Roberta) helped arrange all of the wedding reception details. i’m a italian citizian and my Fiancè is a american citizen and shes coming here to get married! My question is : what papers she needs to show at the italian embassy to make a Atto nottorio,? does she needs a copy of my passport and my birthday certificate too? Thank you so much for this information! My fiance and I are getting married in Italy next spring and I could not be happier to have found your post. It has made the whole process seem so much clearer! If you wouldn’t mind I just had two quick questions. My fiance and his father both speak Italian, would that suffice for an interpreter? I would say they are both very close to fluent, especially my fiances father. Also I’m not sure if you had any idea if there are specifications on where the location of the ceremony has to take place? Ideally I would like to do it outside with a beautiful view, which is simple to find in Italy unless there are regulations on where it would need to take place. Thank you so much again and congratulations on your marriage!! I know you were dealing with Florence, but do you think this is the case? Glad you found Aureliana! It’s definitely not a legal requirement to be accompanied at the various offices but you have to assume that nobody will speak English at the offices so you’ll need someone to be able to speak with the clerk at the Prefettura in Rome as well as the civic/town hall where you will be presenting your legal documents and finalizing the wedding details. If your wedding planner offers that service I would take them up on it unless you speak enough Italian to handle it. I don’t find the offices nightmarish at all if you know the procedures you need to go through and the offices you have to visit. When Shawna and I got married, we were told by everyone not to do it, that it’s too complicated and time consuming. And we didn’t know the procedures in detail before-hand. We went for it anyway. At each office, I was explained by the clerk what I needed to do next and it wasn’t difficult at all. Everyone was super helpful. We didn’t have a translator or a planner or anyone but me and Shawna figuring it out and we did it! Then, when we went back last March to shoot Rachel and Micah’s wedding in Tuscany, we knew where we needed to go and what to do and it was really easy. Sure, Rome is a busier place than Florence, but the types of offices you need to visit and procedures are all the same. Good luck! Congratulations to you both, and than you so much for all of this information. We are leaving for Italy on August 12th, and are hoping to get married there. It’s only our immediate family, and we’re not looking for a religious ceremony. We’ll be spending four days in Amalfi, three in Calabria, and then a week in Sicily. My first question is, do you think we have enough time to get all the paperwork in order? And when we’re over there….was thinking we could get married in Sicily, but again, do we have enough time? What a wealth of information! I wanted to inquire into the cost of your services, if you would please email me at your earliest convenience. Very informative. I am planning a very small DW and want to do Venice. Glad I stumbled onto your site. Paperwork would probably be slightly more complicated for us. FI & and I are both Americans, but were born in different places. Me in Manila and he in California. The Philippines is not a signatory to the Hague convention so I can’t get my birth certificate apostilled. Also, the US Territory where we live has no Italian consulate, but an honorary consul only. Hopefully, we can surmount all the obstacles and have our dream wedding in Venice. Having said that, would you travel to Venice for photography services? Thank you very much for this information. I am a U.S. citizen and my fiance is an Italian citizen. If I understand all of your information correctly, I will be the only one that will need to perform all of these tasks. This article is extremely informative and I have saved it as a favorite and will refer to it often. Both you and your fiancee will have to go through these processes. Of course, his documents will already be in italian so at least you won’t have to get his documents translated. The information on your website it awesome. We plan to marry in Tuscany on May 22, next year. We live in Oregon, so to get our Atto Notorio, we’ll have to go to the Italian Consulate in San Francisco. On the Italian Consulate website, I found the Atto Notorio form, but I couldn’t find a way to set up an appointment to go to San Francisco Consular office. Any ideas? Hi Reenie – I think the best thing to do would be to call the Italian Consulate in San Francisco to make the appointment for the Atto Notorio. They may not have a way to book an appointment online. I’m not positive how active your site is to date, so I hope you receive this! Firstly, THANK YOU. This has been very helpful to someone not only as disorganized and scattered as myself, but to someone who is as new to all this as I am. And congratulations to you both! I am a U.S. citizen marrying (trying to figure out HOW to marry) my simply fantastic fiance, Mattia– an Italian citizen– in Florence, Italy where I then plan to move. I am looking to fly to Italy in June to take care of all our appointments, then set a wedding date for a few months later, perhaps October of 2016. I was reading in one of your replies that it can take a couple of months for the documents needed for the atto notario to be translated. Does Mattia need to be present for the atto notario? Can I go to an Italian consult here in the U.S. by myself with my two witnesses and get this taken care of by myself before going to Italy to start the Nulla Osta? After the atto notario, is it a fairly quick process? I know you’d written that it was, but I just want to be sure. Also, is there an expiration on these documents? Let’s say I get the atto notario done 7 months before the date of the wedding, and the rest finished 4 months prior to the date of the wedding, will it all still be active and accepted? I might have a few more questions, but for now we’ll try these ones out as I’m not sure the site is still regularly active. Thank you for your help in getting me one step closer to spending a lifetime with the man I love more than anything. Wow- impressive! What a journey. I love Italy and wanted to combine my passion with my business. I am doing weddings in Tuscany and the Provence on a budget and would love to talk to you as photographers. Let me know, if you are interested. Hello Adam it’s a very thorough post. I would like to check that the marriage certificate was Italian language only but the Apostulle from the Prefettura office had a translated copy for use in the USA? Did you ask for this specifically or it happens automatically when they do the Apostille? Hi, thanks for all the info, very helpful. I do have a question. Are you required to have witnesses in Italy at the actual service or just at the consulate to obtain the Atto Notorio? The reason I ask is we are thinking of just the two of us going over and getting married. If so do the witnesses that go to the consulate need to be the same at the ceremony in Italy? Thanks again. Do you know by any chance if your Atto Notorio witnesses need to be the same as those in Italy? Just can’t find the info anywhere. Your photos are great and if people are looking for traveling photographers I’ll be sure to share your info! This is SO incredibly helpful! I am following your guide line by line. Can you please let me know how you found your translator? 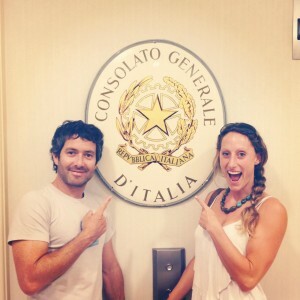 Through the Italian consulate in the US? So I am getting married on September 3rd to my Italian fiance. So I will only need my own documents (birth certificate, license, etc.) and not her documents, right? She is an Italian citizen. Also, did you guys have to get your passport an Apostille? I was planning on getting one for it, but if it is not needed then I guess that would be pointless. I just assumed that I did since on the Italian Embassy website it says you need your passport and stuff, then that you need your documents to have an Apostille; yet it never specifies WHICH documents. Thanks for the post, it really helped! And of course congratulations. I saw this in the GLT group and am SO glad it was posted. Getting married in Italy is an absolute dream, and we have been struggling for a year now to decide where we are getting married. This post is so informative and happened to show up at the perfect time for me. Thank you, thank you, thank you! Hey Adam. I have a simple question. My fiance lives in Italy and I live in Florida. Will she have to be present when i start the whole process or can i do it without her having to come here since we will marry there in Italy? I unfortunately do not know the answer to this. When you find out, please follow up and reply to this. You helped me quite awhile back about getting married in Italy. And since then my (now) husband and I got married in Tuscany. It was such a dream. We have all of our paperwork, including the Apostille and notarized translation, but don’t know what to do with it. Do we need to share these documents with our county recorder’s office? We’ve called them, but they don’t know how to handle our situation. What did you do with your certificates when you returned to the States? You shouldn’t have to do anything with the County Recorder. Your marriage cert with the Apostille is the only valid doc you need. We just had to go to the social security office for Shawna to get a new SS card with her new name, and also change her driver’s license. Congratulations! Thanks for your reply. The county recorder said we needed to show the docs and translation to the Document Recording Office, but now they don’t seem to know what to do with us. So confusing. So to clarify, you didn’t take your documents anywhere other than to the SS office? You just hold on to them? My fiancé and I just decided today that we want to elope to Italy. Planning our wedding here became too stressful and too expensive since other family members all feel entitled to be invited to our wedding. I would love for you to photograph the wedding and help us with the process. Please let me know how to get a hold of you. Really great stuff here! I’m trying to figure out if an appointment has to be made for the prefettura. I’m working with an Italian coordinator who has set an appointment for 11am — but from what you said, you were able to just walk in. Thoughts? I can only speak to my experience at the Prefettura in Florence and the one in Arezzo. Neither of them required appointments. 1. Can my fiance serve as a translator since he’s bilingual or one of our witnesses must do the interpreting? 2. How long after the “intention to marry” portion is completed at the town hall do you have to get married? Since my fiance is Italian, a potential 2-week ban may mean that we have to travel to Italy from NYC during a separate vacation time (perhaps 3 months before) to do handle all of the bureaucratic process, and then just return a couple days before the wedding to actually get married. So beautiful, my fiancé and I want to go to Rome to get married. Ive done so much research about all the paperwork needed. I have contacted wedding planners to help us out but their quotes are so confusing. Im so afraid of going out there without help set in place and not find anyone to be our interpreter and witnesses. It will just be the two of us, we aren’t having a reception or anything but we definitely want pictures all over the city and at the ceremony. Im having such a hard time finding the right help and we don’t have much time to do this since we are both in the military and our time off is very short. So my fiance and I are getting married in Italy! Your website and story is fantastic. I am a Italian and American Citizen and he is American so we have to do some of this paper work as a result. It sounds like once you were in Italy all of the paper work took about a day? Is that true? Thanks so much for your website, HUGE help! Thank you! Auguri. I am so happy to hear that the article has been so helpful for so many people. We love our Italian wedding story! In regards to your question, there are definitely a few days required: you need to visit the US Embassy for the Nulla Osta and then get that certified by the local Prefettura. Then those papers need to be delivered to the town hall where the wedding will take place (assuming this is a civil ceremony). That might be a lot to do in a single day but it can be done if you plan it right and find out the hours of those offices. Try making appointments if you can. After the wedding you need to bring your marriage certificate to the Prefettura again if you want to get it internationally notarized (via the Apostille). We screwed up and didn’t ask to have the Apostille done same day as our visit, but a couple (whose wedding we shot in Tuscany in March 2015) was able to ask for same day service. The fact you are an italian citizen and I assume are fluent in Italian will definitely help. Thanks for the great info on getting married in Italy. My fiance and I are planning on getting married in Venice next July. Can you tell me… After you bring the Marriage Certificate to the prefettura for Apostile, does it have to be picked up in person? Or could it be mailed? We are getting married on a Friday and plan to head off on our honeymoon as soon afterwards as possible. Congrats on getting married in Venice! Shawna and I went there a couple years ago before shooting a wedding in Tuscany and we loved it – much different than all the other places we had visited in Italy but we thought it was very cool. To answer your question – when we brought our marriage certificate to the Prefettura in Arezzo following our wedding, we were told to come back the following Monday which was kind of a bummer because it definitely cut our short honeymoon already shorter. I didn’t know enough italian at the time to ask to have it done the same day. When we shot that Tuscany wedding in March 2015 the couple went to the Florence Prefettura and got their apostille the same day. So when you go to the Prefettura before the wedding to have your Nulla Osta certified, ask about the same day service. Hi! Thanks for the information, we are looking to be married in Florence October of this year. I have a few questions if you can help. 1. At what point do you need to provide the translated copies of the Birth Certificates? 2. We have our meeting at the Embassy on 2/14/17, but I think I saw something that stated the approval was only good for 6 months? Will I need to get it done the week we are there for the wedding? 3. The Atto Notorio is only valid for 3 months, so we should just do it stateside within the proper time frame? We are very excited about this, but had no idea about the red tape. Any other suggestions are appreciated. Ben, you need the translated birth certificates when you make your appointment at the Italian Consultate (stateside) for the Atto Notorio. The lady we worked with had me scan and email all of our documents before going to the actual appointment because she just wanted to be sure everything was in order before driving up to Los Angeles for our appointment. The Atto Notorio is valid for three months so be sure to get it within that three month window of your wedding. Good luck! Let us know if you have any more questions. has helped us and many others. The Italian embassy was horrible and rude getting Information from them. One quick question,…..what happens if our two friends who will be joining us live in a completely different state. How do we work this out to have them stand up for us in an italian wedding? Hello! My fiancee and I are from America and are trying to get married in lake como, Varenna…San Giorgio Church, we know they marry Americans. We have been talking back and forth with a wedding planner. We don’t want a wedding per say tho! So we feel as though their rates are reflective of couple looking for much more. We would like a full understanding and help and possibly (if it totally recommended) to have certain things booked, the town hall for the swearing in and the consoluate in Milan for some of the documents. It just seems so pricey and we are trying to work on a budget. I would like flowers in the church, a photographer and a solo harp player. like I said very very low key. Please, if you have any word of advice where to take assistance and where booking your own things is totally worth it! Thank you so much! I’m currently in the process of getting my nulla osta paperwork altogether. I’m Canadian and my fiance is Colombian, living in Torino Italy. I’m super stressed out. My fiance will not book anything, no venue, no hairstylist, no priest or equivalent. he has an appointment in the Colombian embassy on April 9th for his paperwork. I’m leaving Canada on April 24th and hoping the wedding will be on May 12th. I’m waiting for him to return my passport so I can get it renewed and my certified true copy made for my nulla osta before I can leave. He doesn’t want to book anything until we both have our paperwork. My best friend is my maid of honour and she went ahead and booked somethings without cancellation rights because I received my long form birth certificate and marriage search from the government, she thought it was my nulla osta and everything was a go. I never said anything was 100% yet. She’s now upset that she might have to cancel coming to Italy and lose $2000 because of the bookings she made. Our wedding was planned to be small and very cheap. I told everyone in person and on Facebook that if they wanted to come that they should understand that we are waiting on 3 governments to give us he proper paperwork and permission and to only book stuff with cancellation rights. I’m getting so depressed over all of this. I wanted to hire a wedding planner in Italy to help with all this but my fiance said no, we can do it on our own and to save money. I’m trying to find info about the timing for everything for Canadian citizens and nulla osta but it’s so vague. Your post is giving me some hope. My fiance is fluent in Italian. I’m going to contact the Italian consulate in my city for more help and the Canadian embassy in Rome. Is it better to mail your paperwork to the embassy in Italy or get an appointment? I’ve been crying all day after talking to my friend and my fiance. I don’t know what to do to calm my friend down and to get him to start booking things. I don’t care if we get married in his backyard, if worse comes to worse. But we need a priest or official to marry us. We will have a big wedding in Canada once he’s here through sponsorship. I feel so useless and really, really depressed. Thanks for the detailed process! Tremendously informative! One question about witnesses. We too have to travel to get to our nearest Italian consulate. We will have two witnesses with us. Can we use different witnesses in Italy for the marriage? The two witnesses we planned on using for the Atto Notorio will not be traveling to Italy.